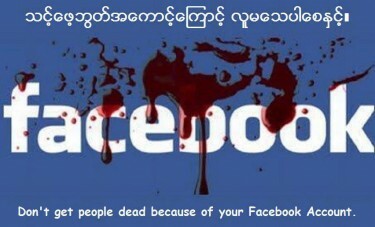 This post is part of our special coverage Myanmar's Rohingya . Myanmar is in the headlines these days because of two things: the historic European visit of Nobel Peace prize winner Aung San Suu Kyi, and the violence  in Rakhine State located west of the country. It’s difficult to blame a particular group for the riots , killings, and burning of houses that have taken place in the state in the past two weeks but the victims  were clearly ordinary Arakanese, the ethnic majority in the state, and the Rohingyas who are asking for recognition in Myanmar. According to a government report, a total of 2,528 houses have been burnt down since the clashes started. Of these, 1,192 belonged to Arakanese and 1,336 belonged to Rohingyas. The report also mentioned that 29 people had died  in the fighting—13 Arakanese and 16 Rohingyas. Thousands have been displaced  because of the communal violence. There are a total of 37 refugee camps housing 31,884 victims so far. The Rohingyas are often described in the mainstream press and academe as the ‘most persecuted minority group in Asia.’ But opinion  in Myanmar is divided. In fact, the government doesn’t recognize the Rohingyas as among the country’s ethnic groups. To the surprise of many activists and media people outside Myanmar, veteran officials of the opposition 8888 Generation Student Leaders  issued a statement which affirms the government line about the non-recognition of Rohingyas as citizens of Myanmar. Some activists are asking if Suu Kyi, who urged the application of rule of law  in resolving the issue in Rakhine, shares a similar position with the 8888 Generation Student Leaders.